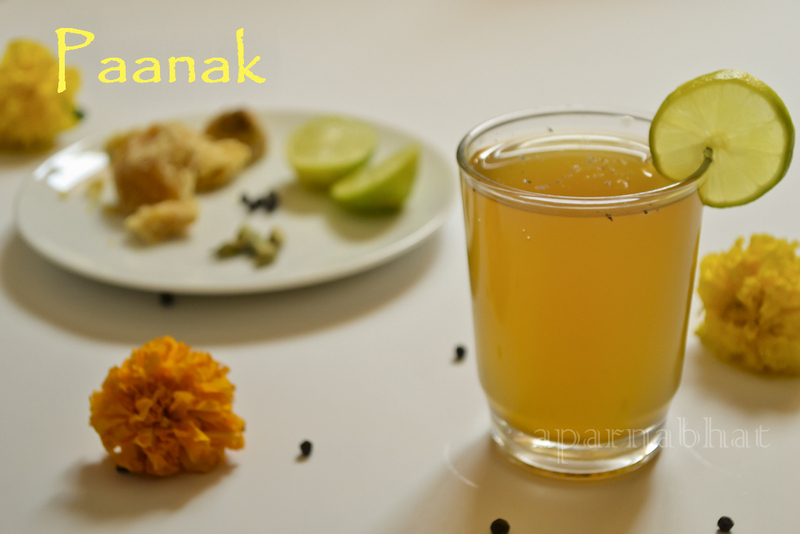 Paanak is sweet spicy drink made in less time using jaggery, pepper, cardamom powder, dry ginger and lemon juice. This is specially made in temples at my native place and served as Ramnavami prasad. I am yet to note down the traditional / authentic recipe from my family. Today being Ramnavami at my native place, I was tempted to prepare it. I did this with a guess work about the proportion of ingredients and served it chilled as prasad at home. Will update the authentic recipe some time soon as I get it. Happy Ramnavami Wishes to all my readers. The recipe for Panak from my aunt goes like this.. Boil about 2 litres of water, add jaggery,add crushed powder of pepper, dry ginger and cardamom. After it cools to room temperature chill, add lemon juice, and serve. Thankyou so much for this recipe Surekha Prabhu... will surely try this recipe.. may i know 2 blocks would be how much gms of jaggery approximately?